With minimal information being given on the characteristics and peculiarities of this particular spell of Lassa fever, there is a feeling that the authorities are being somewhat cavalier about it. Henceforth, every step of the way, government has to be reactive rather than proactive. Anything short of that in handling this outbreak of Lassa fever could amount to reckless endangerment. Another year, another acute viral hemorrhagic fever threatening to sink its claws into the population; endemic in parts of West Africa. Less than a year since the full outbreak of the dreaded Ebola virus, Lassa fever is proving that disease really is the biggest threat to humanity. With the outbreak of Lassa fever claiming the lives of over 40 people, across 10 states, Nigerians have got to be worried with the rising number killed by this dreadful virus. Lassa fever is a hemorrhagic fever (LHF) caused by the Lassa virus, which has occurred mainly in West Africa. The illness was first discovered in 1969 when some missionary nurses died from it while stationed in Nigeria. The virus is named after the town in Borno state, where the illness first occurred. Lassa fever is a zoonotic disease, meaning that humans become infected from contact with infected animals. The virus is transmitted to human beings via contact with food or household items contaminated with rodent urine or droppings. Person-to-person infections and laboratory transmission can also occur, particularly in hospitals lacking adequate infection prevention and control measures. Early supportive care with rehydration and symptomatic treatment improves survival. Due to the fact that the symptoms of Lassa fever are so nonspecific and varied, clinical diagnosis and detection of the disease in affected patients is oftentimes difficult. Thus, Nigerians must be vigilant in detecting those who may have contracted the illness since we now know that the virus is in the country and spreading. Whether one has been directly affected by Lassa fever or not, Nigerians have got to be concerned with the perceived lack of awareness and preventative measures to protect people against this disease. With the little noise being generated about the virus, it is presumed that many of the medical facilities and health workers in the country are not sufficiently equipped and prepared to provide standardised infection prevention precautions, containment, and treatment for patients infected with Lassa fever. If this is so, then medical workers are faced with the tenuous and difficult task of effectively treating Lassa fever. With the virus already spreading to ten states in Nigeria, in order to avoid the spread of Lassa fever, the measures that had been put in place last year during the Ebola scare must be revisited immediately. While it maybe hard to outrightly impose complete travel restrictions on the infected states, as many preventative measures to test travellers as possible must be provided. More importantly, the government has got to employ all the necessary tactics to spread awareness and educate Nigerians on the symptoms to look for in order to identify Lassa fever. The signs and symptoms of Lassa fever occur 1-3 weeks after a person has come into contact with the virus. Even though these symptoms can easily be under-diagnosed, Nigerians, especially in the affected states, should look out for the symptoms, which include, weakness, headaches, fever and general malaise. In the event that an infected person isn’t immediately treated, the disease might progress to more serious symptoms, which include hemorrhaging of the person’s eyes, gums, or nose – repeated vomiting, respiratory distress, pain in the back, chest and abdomen, facial swelling and shock. Neurological issues have also been described in relation to Lassa fever, to include tremors, hearing loss and encephalitis. Additionally, an infected person may die within a fortnight of their initial symptoms because of multi-organ failure. A common symptom of Lassa fever is deafness, in differing degrees. Due to the fact that the symptoms of Lassa fever are so nonspecific and varied, clinical diagnosis and detection of the disease in affected patients is oftentimes difficult. Thus, Nigerians must be vigilant in detecting those who may have contracted the illness since we now know that the virus is in the country and spreading. Now that we are aware that scores of patients in 10 states have contracted Lassa fever, prompt isolation of affected patients, good infection protection and control practices and rigorous contact tracing must become a necessity. In fighting the disease, the government can go further by setting up medical quarantine stations in the airports and highway borders of the affected States to test and monitor passengers in order to isolate and eradicate the virus. As many health workers as possible, all over Nigeria, especially in the affected states and their borders states need to be trained in detecting and dealing with Lassa fever. Quite similar to Ebola, prevention of Lassa fever relies on promoting hygiene. All measures should be taken to keep homes free of rodents. 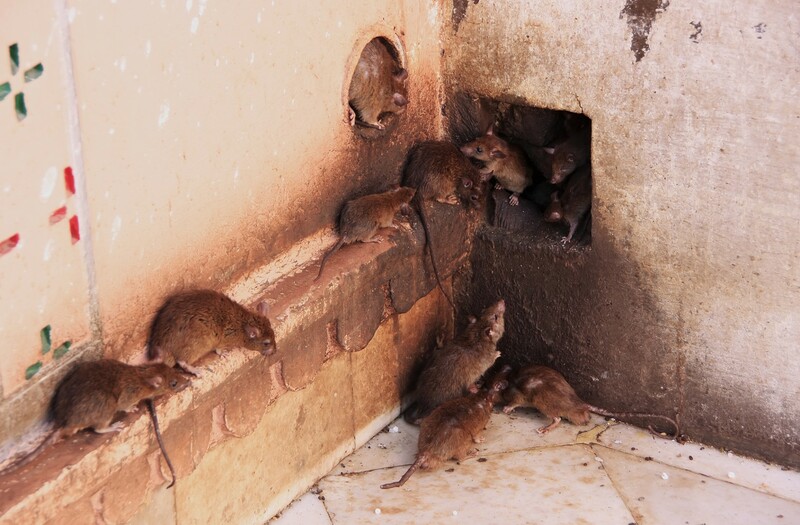 Actions such as storing food in containers, not eating left over, unsupervised food, disposing of garbage from the home and maintaining clean households will go a long way in winning the war against Lassa fever. The use of hand sanitisers in the same way that was done during the Ebola crisis is also advisable. Those caring for sick people should try to avoid contact with blood and body fluids of the sick. In health-care settings, staff should always apply standard infection prevention and control precautions when caring for patients. Health workers should apply extra infection control measures to prevent contact with the patient’s blood and body fluids and contaminated surfaces. They should wear protective gear, such as medical masks, goggles and gloves when directly treating a patient with Lassa fever. And when hospital-staff see a patient who is suspected to have Lassa fever, they should immediately contact national experts for direction and to make arrangements for laboratory testing. Laboratory samples taken to investigate the Lassa virus infection should be handled by trained staff and processed in suitably equipped laboratories. In fighting the disease, the government can go further by setting up medical quarantine stations in the airports and highway borders of the affected States to test and monitor passengers in order to isolate and eradicate the virus. As many health workers as possible, all over Nigeria, especially in the affected states and their borders states need to be trained in detecting and dealing with Lassa fever. Military personnel and other essential persons may also need to be vigorously trained on the essentials of preventing, confronting and dealing with Lassa fever, if the outbreak begins to get out of control. Putting in place monitoring stations at the travel outlets of the affected states, for a short period, may impede the ability of some to travel back and forth; it may also add delays to traveling time and become a source of annoyance to travellers, but it will be worth it if it saves lives and stops the spread of the virus. The ban on the sale of bush-meat in Nigeria should be proscribed with immediate effect. Another year, another acute viral hemorrhagic fever threatening to sink its claws into our population. But, like we have done before, we can beat it if we follow the required steps. The government has got to be proactive on this issue. There can be no slip up or negligence in handling this matter. The authorities must work every day, all day to protect Nigerians from health, safety and security threats, of which Lassa fever is one. The Nigerian disease control apparatus should increase the health security of our nation; they should save lives and protect Nigerians from health threats. Even when the spread of Lassa fever has been contained, our authorities must conduct critical science exercises and provide health information that would protect the nation against future expensive and dangerous health threats. No matter which disease we are threatened and faced with, Nigeria must be ready to respond when such a threat arises. As is the norm in developed countries, “whether the diseases start at home or abroad, are chronic or acute, curable or preventable, human error or deliberate attack,” our authorities should be able to fight disease and support communities and citizens to do the same. Another year, another acute viral hemorrhagic fever threatening to sink its claws into our population. But, like we have done before, we can beat it if we follow the required steps. Lord knows, on top of all the other challenges of life, we don’t need another fever raised by Lassa fever.